Research shows rising meat consumption's dire impacts on the planet and a new initiative works to steer the world's diet toward plants. With the world's meat consumption on track to nearly double in the next three decades—a surge that could strain natural resources, increase greenhouse gas emissions and hamper the world's ability to feed a ballooning population—a group of researchers has launched a project to shift that trend, starting with language. Recognizing that the words "healthy" or "vegetable" can scare off consumers, the group of marketing experts, behavioral economists and consumers researchers, led by the World Resources Institute (WRI), is working to develop alternative language with U.S. and European food companies to make their plant-based options more appealing. Certain words, like "superfood," seem to do the trick. The project, dubbed the Better Buying Lab, also aims to help guide the world's farmers in adapting to the diet shifts necessary to keep global warming below 2 degrees Celsius. Global demand for beef alone is expected to grow by 95 percent between 2006 and 2050, largely driven by demand in China and India. Because producing animal-based foods consumes more resources — about three quarters of all farmland, generating two-thirds of greenhouse gas emissions from food production— the booming demand for animal protein could have an outsized impact on the environment and climate. Under the current trends, total emissions from agriculture could consume 70 percent of the global carbon budget by 2050. Earlier this year, WRI released a study that found if people in developed countries cut their meat consumption to just over 2 ounces a day—roughly half of what they eat now—greenhouse gas emissions from agriculture could shrink by 10 percent and agricultural land use by 13 percent. That's a mass of land twice the size of India. The scenario could cut carbon dioxide emission from land-use changes by 168 billion tons by 2050. But meat is so ingrained in most traditional diets and embedded in expectation that consumers are reluctant to shift to plant-centric diets. "There's a massive opportunity here," said Daniel Vennard, the lab's director. "But we need to work on behavior." Language used in marketing and labeling is extremely powerful, Vennard said. In one study, for example, people who ate two identical cookies—one labeled healthy, one not—found the "healthy" one to be less tasty. The lab is working with a handful of companies including Google, Hilton, Trinity Marketing, Quorn, Panera, Sodexo and Sainsbury's, as well as the U.K's WRAP group, which advocates for reducing food waste, and Stanford University's dining system. These companies have agreed to tweak their menus, incorporating marketing tactics to motivate changes in buying — not an easy thing to do. If these strategies work within the companies on an experimental basis, the lab will share them more broadly with the industry. The lab's researchers believe a few marketing ploys that have worked in the past could help shift consumers toward more plant-based choices. First, they could simply package vegetarian foods as if they were proteins. For example, manufacturers began packaging soy and nut-based milks like traditional milk, sending U.S. sales soaring 250 percent in the last five years. The lab's team acknowledged that few people make choices based on environmental benefits, but they will change their buying habits based on health-based promises. For example, Vennard explained, Birds Eye reframed its fish fingers, made out of pollack, as "Omega 3 Fish Fingers," prompting consumers to shift away from overfished cod. Another marketing tactic: using high-profile tastemakers, including celebrities, to change social norms and make certain choices more desirable or even socially unacceptable. In China, for example, the group WildAid ran a series of ads with Chinese celebrities with messages against eating fins from endangered sharks. The Chinese government reported a 70 percent drop in shark fin. An especially important key to driving these shifts is reframing language and messages in a more appealing way. Changing consumer behavior isn't just a matter of language, though. One study found that men who eat a vegetarian diet are seen as less masculine—a perception, in the U.S. at least, that could have a significant impact on meat consumption. American men eat nearly 60 percent more meat than women. In the U.S. beef consumption has seen a steady decline for decades, which is good news coming from the country that has the most resource-gobbling diet in the world. Globally, the cattle and dairy industries account for about 14 percent of total greenhouse gas emissions. In the U.S., estimates have placed agriculture as contributing about 9 percent of emissions, but that number does not accurately account for livestock facilities because Congress has passed bills since 2009 preventing the Environmental Protection Agency from collecting data on them. 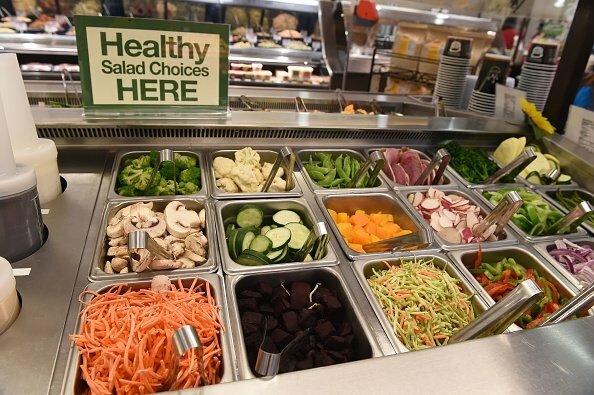 Advocates of a shift to more plant-based diets see welcome signs in various food trends that accommodate vegetables, from small plates menus to "bowl"-based chains that emphasize salads and vegetables. "It's not: How do we beat meat?" Vennard said. "The next five years we'll be trying to get the plant-based industry to scale. To get it so we're ready to grow."